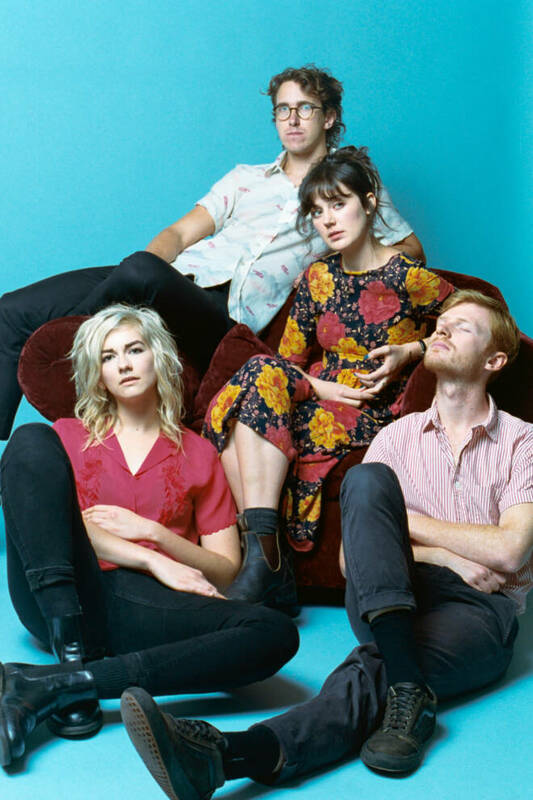 Calling themselves “the missing link between indie-rock and classic country,” Neighbor Lady released their debut album, Maybe Later this past May. It features the single “Oh Honey," an upbeat and sassy track about a fight between two friends over the same guy. The Atlanta-based band is comprised of Emily Braden, Jack Blauvelt, Meredith Hanscom and Andrew McFarland. Braden is the singer-songwriter of the group and “Oh Honey” is based on a real friendship breakup. “Oh honey, what’s all the fuss about,” asks Braden, slightly condescendingly but mostly playfully. Complete with a catchy opening drum fill and an infectious piano driven chorus, Braden unleashes her true feelings about the futility of friendship feuds. 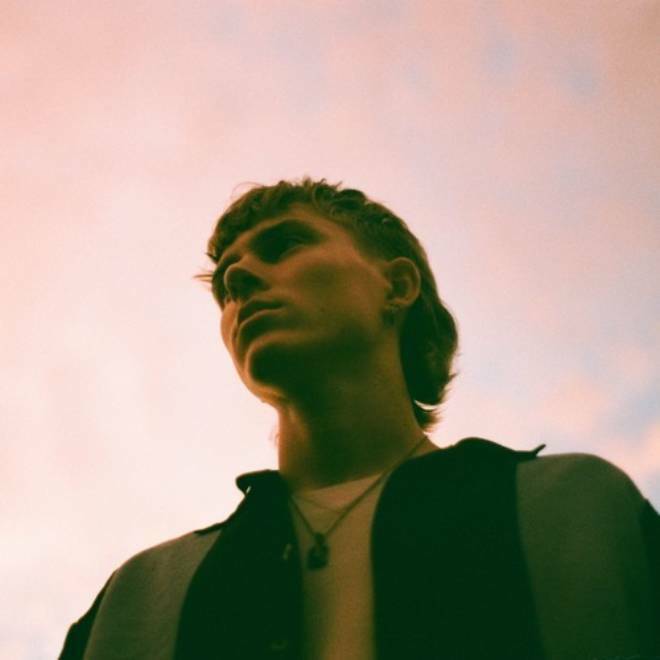 The rest of the record alternates between indie rock infused with moments of bedroom pop to twangy, country inspired numbers that showcase Braden’s powerful vocals and the band’s desire to breakdown genre barriers. Oh, and be sure check out their music video for “Oh Honey,” which was shot entirely by the band on an iPhone 8. Happy Single Release Day to Good Night Gold Dust! 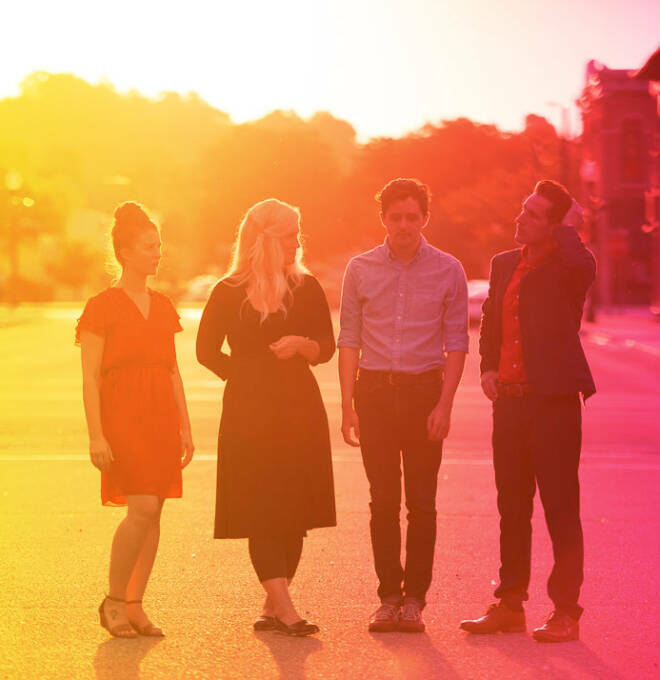 The indie electronic quartet hails from Mankato, Minnesota and consists of members Laura Schultz, Colin Scharf, Zach Arney and Michelle Roche. Across GNGD's repertoire, guitarists Schultz and Scharf switch off on lead vocals, providing dynamic emotional texture from track to track. 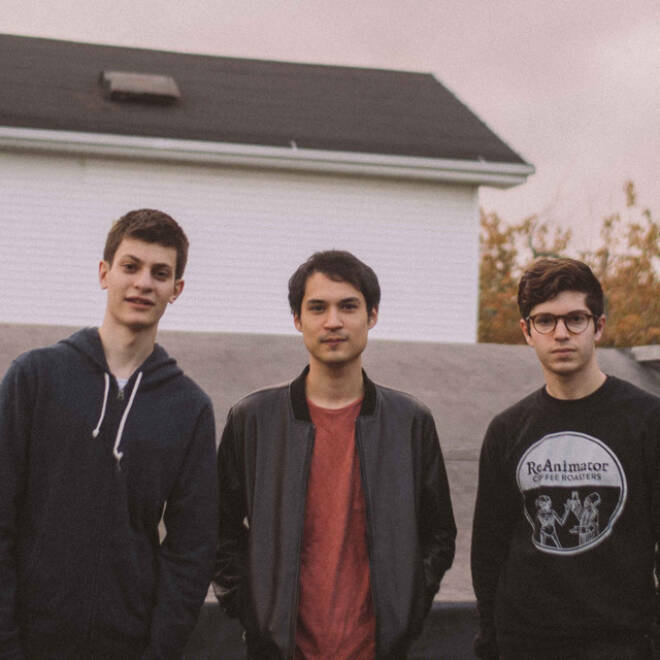 Prior to the release of their six-song EP, It Could Have Been You, the group gifts us with the gorgeous single, “In Water.” Schultz takes the reigns on “In Water,” opening the song with the simple yet confrontational line, “You’re someone new / You’re someone different.” “In Water” is about what Schultz describes as "identity formation... How we change and how we keep changing.” She’s both delicate and fierce as she delivers the song’s poetic verses, exuding influences from the queen Björk and indie rock goddess Karen O. The song explodes in the last chorus as syncopated 808s drive the crisp guitars and cosmic electronic sounds home. In a magnificent choir of carefully layered harmonies, Schultz’s sings over and over again “It's changed and still changing.” Lean into the changes and let Good Night Gold Dust take you away with this unique and dreamy soundscape. 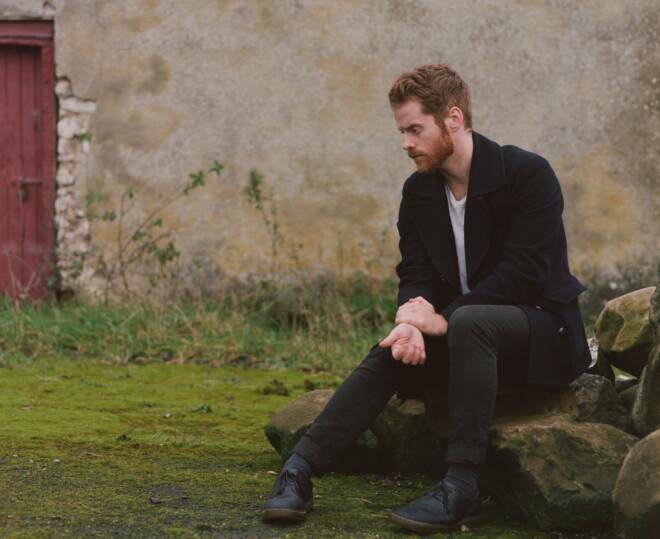 When Ciaran Lavery is accompanied by a string section and gentle harmonies, as he is in the original version of “Wicked Teeth,” the horrors he depicts are hidden beneath a layer of gorgeous production. But here, in a solo session backed by only the sparsest piano chords, it’s impossible to miss lines like, “I see you sharpening your claws / I can feel them in my sleep.” There is no less beauty in such a simple arrangement, rather the beauty is in his ability to confront his deepest fears alone, utterly exposed. “I could never stray from you,” he nearly whispers, addressing the powerlessness one might feel in an unhealthy relationship or at the hands of personal demons. As the song progresses, he finds his footing and becomes bolder in his piano playing. The questions of the first chorus — “Would you sink your wicked teeth? Would you lock your jaws down tight?” — sound almost like a challenge in the second. Sink your teeth in, lock your jaws down, even that can’t stop him. John Isaac Watters, the vocalist of Rainstorm Brother, used to work as an architect. When listening to the careful arrangement of “Fire You Light,” the second track on the folk-rock duo’s new EP, Part One, it’s easy to understand why. His vocals are a little bit The National, a little bit Modest Mouse and a lot of vibrato, acting as the foundation around which all the other instrumental sounds are built. Classic elements of crooning folk merge seamlessly with experimental synths and percussion that evolves into something almost orchestral, leaving the listener with a song entirely in its own genre. The opening synth, which can best be described as a violin being played backwards, sets the tone for the unconventional mash-up of sounds, but with a traditional structure and a time signature fans of indie pop will be familiar with, “Fire You Light” will appeal to a wide-variety of listeners. 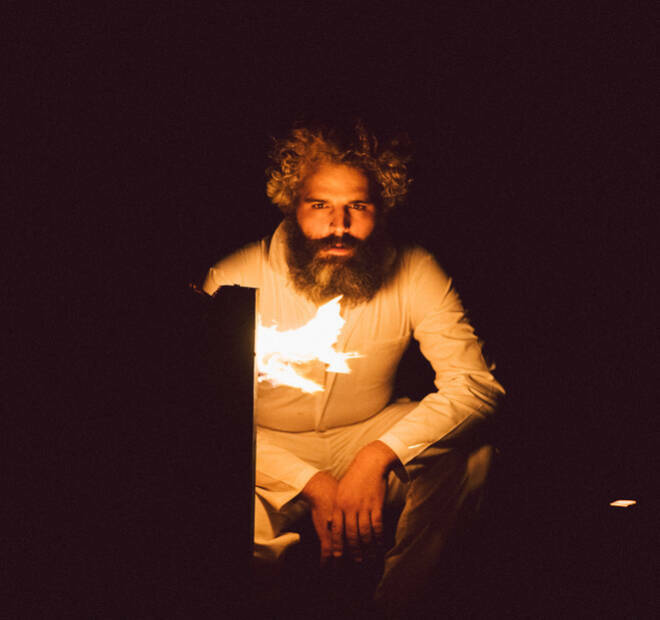 Brooklyn's Cape Francis is out with a new single titled "Nobody" off of his upcoming record. The song lives in a realm that is light yet pensive giving it a special kind of power. Kevin Henthorn talks about the background of the song telling us that "living in New York City can be incredibly overwhelming, especially coming from my home state of Maine. Living here, it feels like there's always someone else in a 30 foot radius of me at all times. Even if they're in a different apartment, through the walls, someone is always there. More and more I've been feeling the need to get out, which is why "Nobody" is a song centered around escapism." The need to feel alone whether in your thoughts or physically is universal and speaks to who we are as human beings, needing both social interactions and solitude. 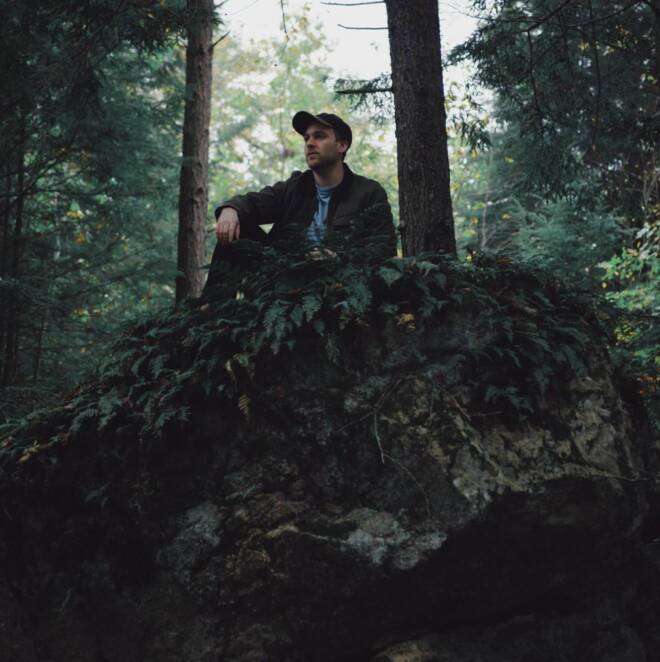 In a genre that Henthorn labels as post-folk, Cape Francis finds themselves giving us the reflective nature of a folk song, with the modern and intricate sounds of the indie world. Be sure to check out our Buzzsession with Cape Francis that be on the look out for more music to come! “Falling for the Wrong One” is a single from Dreamer Boy’s newest album Love, Nostalgia. This song certainly lives up to the album title by instilling both emotions in the listener. The song's repetition of “it’s not me, it’s you” brings up the universal feeling of falling for someone you shouldn’t. Dreamer Boy (aka Zach Taylor) is from Nashville, Tennessee and a self-proclaimed “cowboy-pop” artist. Taylor’s cowboy roots can be clearly seen on his album cover where he dons a flashy western outfit. This indie-pop cowboy’s dreamy vocals float over a simple drum machine and a tranquil guitar playing catchy riffs and spacey chords. "Falling for the Wrong One" is perfect for dancing in your car or reminiscing on lost loves. It's an upbeat bedroom-pop tune for all you lovesick kids out there, so if you’re a fan of this song be sure to check out the whole album, Love, Nostalgia, for your “cowboy-pop” fix. The members of Vern Matz are self-proclaimed Radiohead fanatics, and the influence of Thom Yorke’s softer side is evident. “Systematically Gone” lets the listener revisit the sweet dreamlike state evoked in Radiohead’s “High and Dry,” but singer Danny Belgrad himself evokes the art rock heroes of a decade prior. R.E.M. sang, “Sometimes everything is wrong / Now it’s time to sing along,” and Belgrad channels Michael Stipe (quite convincingly) to describe a character singing away the toughest moments of their life, their “factory hours.” The subject’s stubbornness has left them “stuck on shore,” and vague questions like “Is it too much? / Will you ever stop?” convey an utter bewilderment with the decisions that they have made to take them so completely off course. With “systematic” echoes and jarring drum fills, the choruses, though still sweet, are frantic in a way that suggests the whole system itself is breaking down. Loyal Lobos' debut EP releases today with soft-rock song "Burn" as its stand-out. It’s a song you can’t help to sway to and her youthful vocals drive the somber lyrics home. The LA native’s voice carries a relatable longing felt by her words and heard in her voice. The lines "You hold me just like my mother does, it hurts like hell / You broke, so watch me burn again" evoke a particular and familiar sadness. The simple percussion and guitar push her echo-y vocals to the forefront of the track with a slightly haunting aura as they intensify into the chorus — a feeling almost like finding something you thought you’d lost. Loyal Lobos' “Burn” is a sad song well-done. "Holograms for each other... I’ve become all the phrases that I take from a book... I do the same things all day but not at night... Can’t you trust my love." Ian Wayne finds the the sweet spot between somber and relieved in his new single "Girlfriend." 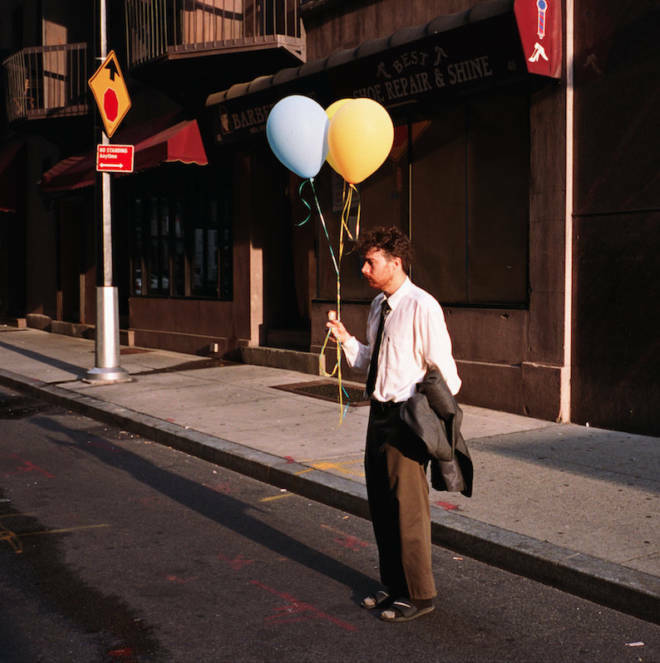 The Brooklyn-based singer-songwriter captures the existential malaise of romance as he croons about “at best hop[ing] to be holograms for each other to forget ourselves in.” Wayne approaches a narrative of addiction and disassociation with a gentle, but not shy, touch that will leave you haunted. The duality of love and detachment manifests itself again in gritty guitars and glimmering melancholic licks while Wayne’s voice dances like smoke above. We can’t wait for the full LP, A Place Where Nothing Matters, to release this Friday, November 16, so we can further sink into our feels. 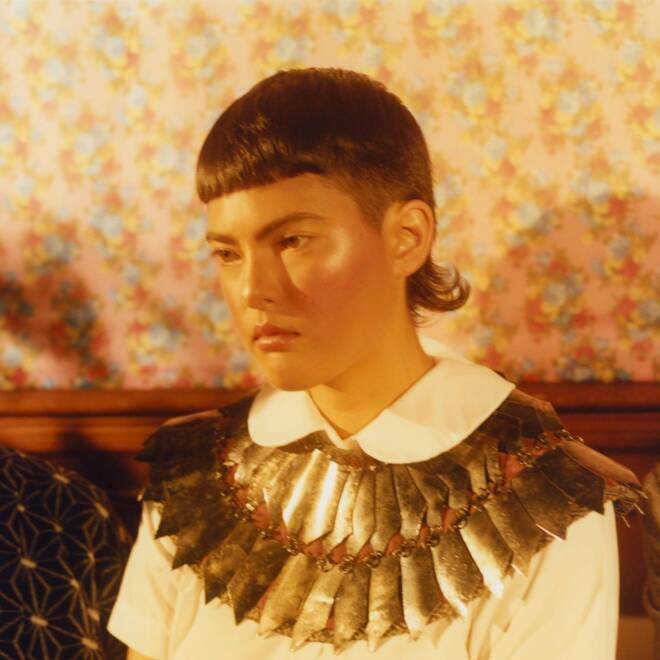 Miya Folick’s “Premonitions” is just the song for your next self-reflective midnight drive home. Folick strikes a delicate balance between contentment and yearning on this title track off her debut LP. Posing her deepest of existential questions to her listeners, the LA artist challenges herself and the audience to be more open with each other and themselves. Over an understated bass line and some lush synths, she sings, “If you ignore the darkness/then you miss the point of life.” “Premonitions” is a call for honest introspection and self-acceptance. 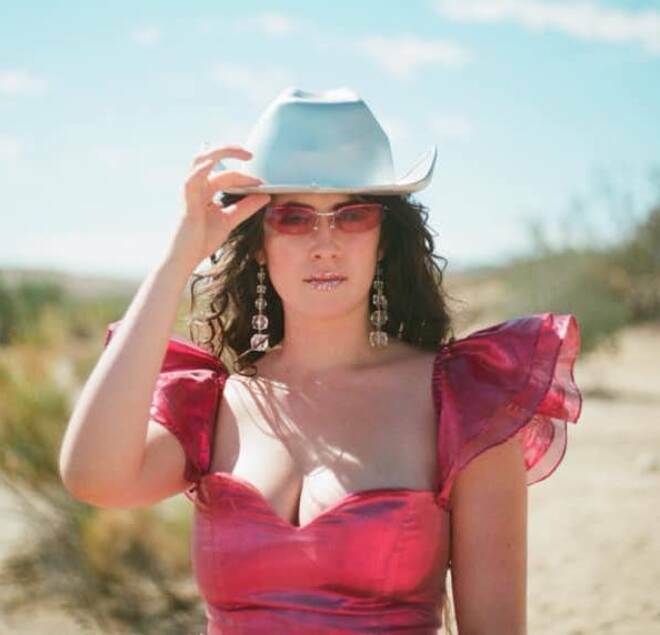 Folick’s raw vocal delivery could be compared to a Strange Mercy-era Annie Clark, which is reason enough to dig into this track and others on her new record. The production is careful, intricate but accessible, just like indie pop records from Mitski and Japanese Breakfast. Folick’s record is fresh, fearless and ready to soundtrack your end of fall self-reflection. Give it a try!